Another reason I support this company!!! Baller customer support. My lisence plates lights died for some reason and had other bulbs start flickering. They replaced all of them! Thank you - we really appreciate the support everyone, it means everything to our company. Same, license plate bulb just went out and they’re sending a replacement tomorrow. Great support. Once question though, I didn’t think LEDs were suppose to flicker on this car. I know they did on my old MK5 Jetta TDI until I turned off cold diagnostics with vag com, but on my GTI the front turn signals for example still flicker on every start up. Is this considered normal?? I didn’t think there was a cold diagnostics option to shut off on the MK6. I ordered 2 dome lights just after black friday and they sent me 3 instead of 2. Thanks for all the support and reply, we do appreciate it. Just had such a great expierence dealing with their customer service, they went above and beyond to resolve my issue. Can’t say enough great things about these guys! One of my led back up light that i purchased from them went out. 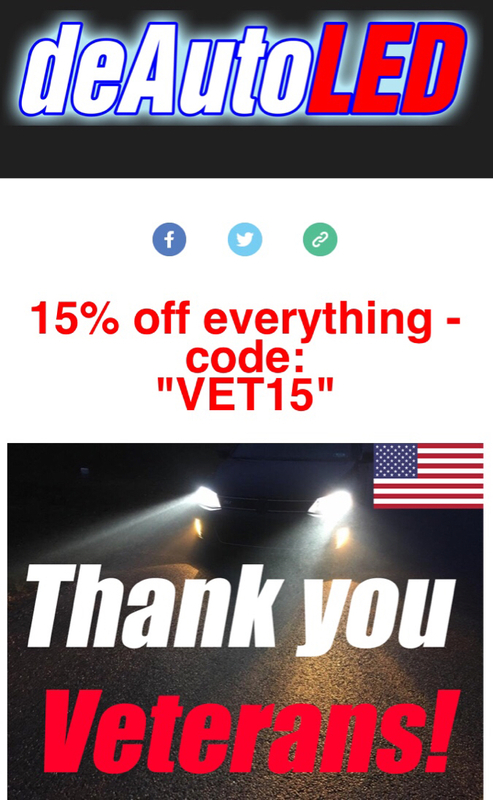 They told me if i purchase another set of led a(turn signals) at a discounted price(20%)they will send a replacement back up lights for free. They ROCK ! Thanks for taking the time to leave your feedback. We do appreciate it. Depending on the situation we want to try to help our customers the best way we can - as long as you are happy with your experience & purchase is all that matters. Wow this thread has the most views in this forum sub! Amazing. Thanks for the support over the years it means a lot. Last edited by deAutoLED.com; 11-22-2018 at 11:51 AM.